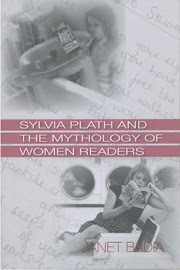 Congratulations to Janet Badia, whose book Sylvia Plath and the Mythology of Women Readers was recently published by University of Massachusetts Press. You can purchase the book from Amazon.com; UMass Press; Amazon.co.uk; and you can like it on Facebook. Conclusion: "I Don’t Mean Any Harm": Frieda Hughes, Plath Readers, and the Question of Resistance. P H Davies recently visited North Tawton and writes about it on his blog. The photographs of Court Green are among the best I've ever seen (and the rest of his blog and website are worthy of reading too, so, go on, treat yourself). You will remember the excellent book reviews he has posted, most recently on Heather Clark's The Grief of Influence and Kathleen Connors and Sally Bayley's Eye Rhymes: Sylvia Plath's Art of the Visual, and evocative poem "Heptonstall" in Plath Profiles 4. Several weeks ago (wow, in July - I'm behind), on The Telegraph's website, there appeared the article "Ways With Words: Ted Hughes catches the animal within" by Blake Morrison. In a recent visit to the Plath archives at Smith College, I was fascinated to discover a cheque book covering the last months of Plath’s life, beginning 11 December 1962 with the final cheque dated 31 January 1963. Mostly this is a document that reveals a narrative of Plath’s London move – new furniture and household pieces, new clothes and cash (pre- ATMs!). One name which repeatedly appears (Plath writes five cheques) is to a store called Bowman's. A little research revealed that this store was based in Camden (in fact conveniently right next door to Plath's own bank, Lloyds which was at 140 Camden High Street) and was a high class furniture store offering modern pieces. Although it is no longer in existence, some of the original shop can still be seen at the Camden High Street address. Here, red brick archways flourish, with the department name tiled in a swirly mosaic above each window (see here, for example). Classed as a department store, Bowman's sold curtains, furniture, carpets and bedding. Plath's cheque book reveals that on the 14 Dec 1962, she bought a bureau from this shop costing £7:3:6. On the same day, but a different cheque, she also purchased three carpets at the cost of £26:15:0. On the 20 Dec, she bought a rug for £16:16:0 and the following day on the 21 Dec, two more bureaus at the cost of £14:7:0. Her final purchase from Bowman’s was just a few weeks before her death on 18 Jan 1963 when her cheque book lists "curtaining cushions" for £4:1:0. I was curious to put these purchases into context. A modern currency converter reveals that Plath was spending money on quite fine items here. Using the retail price index converter from 1962 we can see that by today’s standards Plath was spending approximately £114 on a bureau, £426 on carpets, £268 on a rug, £228 on two more bureaus and £64 on curtains and cushions. These were not budget, disposable items but perhaps fitting pieces for Plath's stated long-view five year plan. For me, seeing these cheques really places Plath in her historical and social context. Over the years, Bowman's shrank in size, until just before closure it took up only one small shop out of the entire block it used to occupy. But during Plath's time, the store was thriving offering modern, designed furniture aimed at those with smaller flats. Its catalogues were stylish and creative and used renowned artists to design their covers. 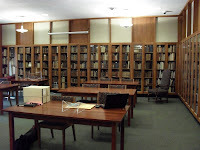 Catalogues from Bowman's can be viewed here and here. And view an advert from December 1962 when Plath was making most of her purchases can be seen here. 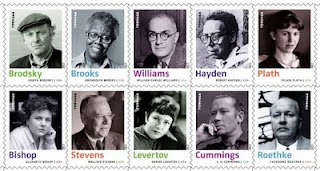 The Poetry Foundation has announced that in 2012, the US Postal Service will be honoring ten poets with postage stamps. The Observer ran an article, "Sylvia Plath given stamp of approval", by Vanessa Thorpe on Sunday 18 September. Hello, the first of some biggish changes was activated today on my website for Sylvia Plath, A celebration, this is. On the homepage (linked just above), I have added a Google custom search tool. This will enable web browsers to search the entire website, which I hope means that you will find your content even faster. When you type in the search box, a new tab or window will appear with the search results (they frequently appear beneath a Google ad or two...sorry, it was not avoidable without paying a fee...). Thanks to three of my great Plath friends for testing this feature out. Please let me know how you like it (or if you don't). The decision to have results open in a new tab was made because this way your search results are saved in the original tab. If done the other way, where the result is opened in the same/original tab, if you click the back browser your search query is lost and thus you'd have to do it again (one year in every ten, perhaps). The next changes should be up within a month, if all goes well, and will affect the sites most popular pages. Jo Gill contributes a chapter, "Ted Hughes and Sylvia Plath" and Tracy Brain writes on "Ted Hughes and feminism." As Plath was such a major part of Ted Hughes' life and writing, no doubt additional essays in the book will feature or focus on her. The book is available now and will go for $28.99 or (£17.99). 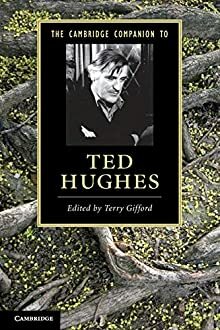 Another new article of potential interest is in the inaugural issue of the Ted Hughes Society Journal: "Opened Ground: Discourses of Descent in Ted Hughes and Sylvia Plath" by Janne Stigen Drangsholt. 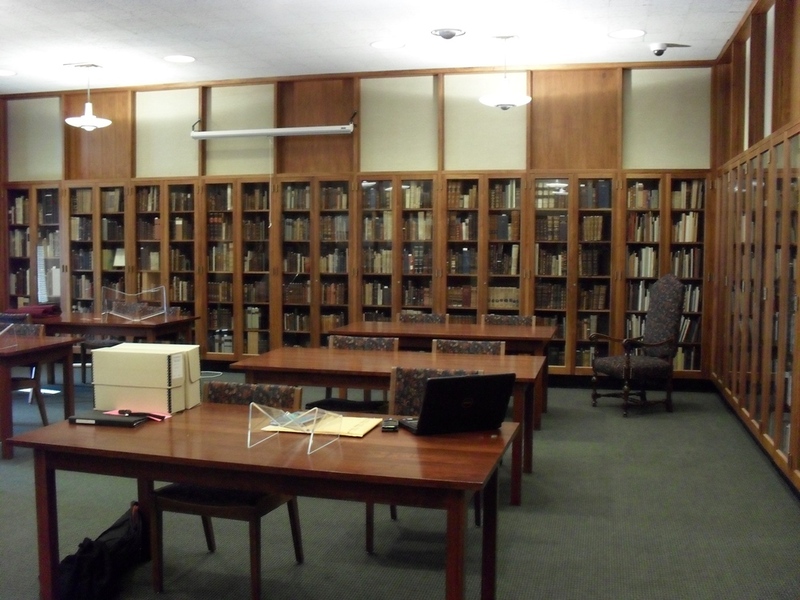 Unlike the content of Plath Profiles, which is free, the essays in the THSJ are available via subscription.